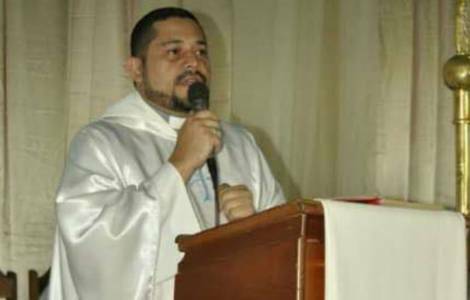 The Bishops call for the entry of "humanitarian aid"
Barquisimeto (Agenzia Fides) - The parish priest of the Nuestra Senora de Fatima parish, in the Archdiocese of Barquisimeto (Venezuela), don Iraluis José Garcia Escobar, 38, was killed yesterday afternoon, Monday 9 July, by bandits who wanted to rob him the van he was traveling on. According to the statement of the Bishops' Conference of Venezuela, sent to Agenzia Fides, the priest was driving the van while traveling around Santa Isabel neighborhood, in the western part of Barquisimeto, and was entering his parish, when he was shot by criminals. He was immediately taken to Pastor Oropeza hospital, where he died shortly after. Fr. Iraluis was much loved, cheerful and with a profound spirituality, all dedicated to the Church.